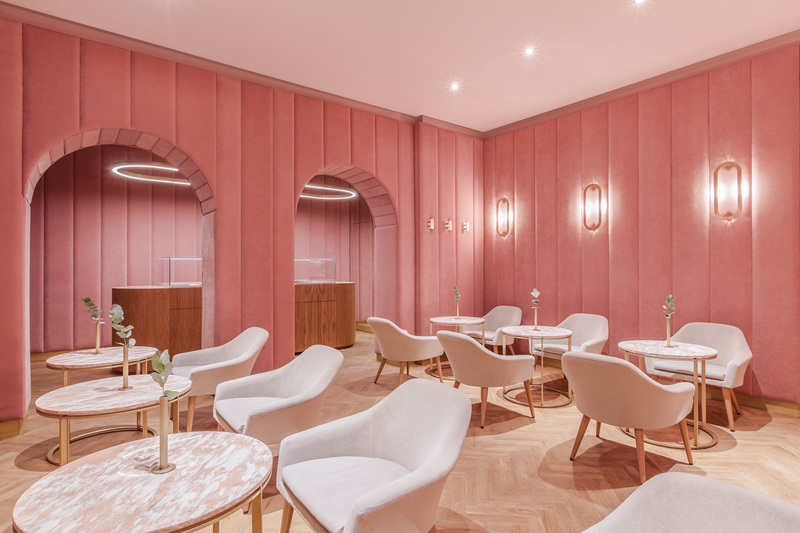 NANAN Patisserie in Wroclaw, Poland by BUCKSTUDIO. 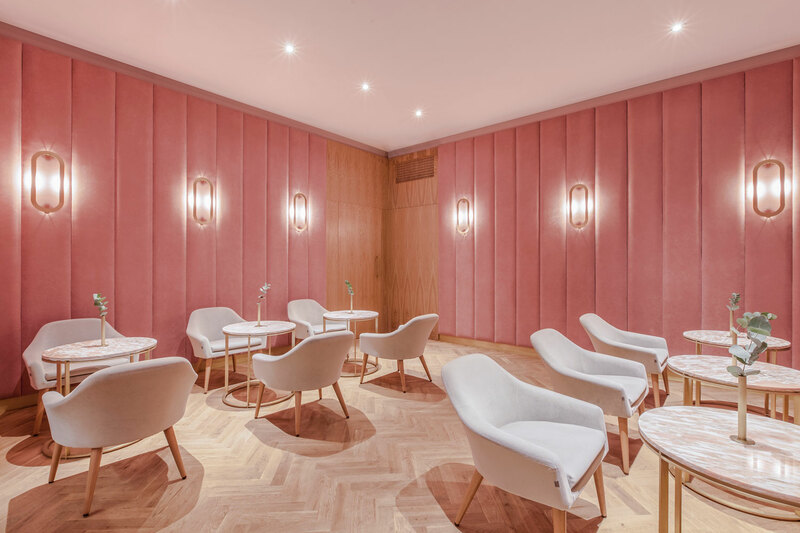 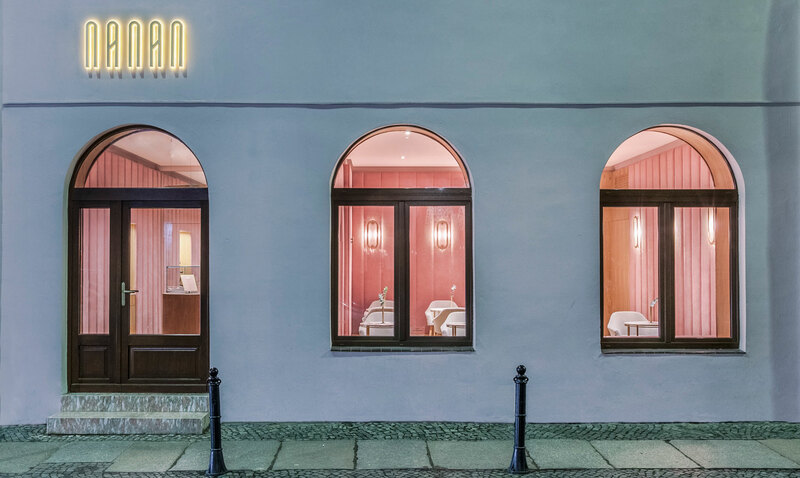 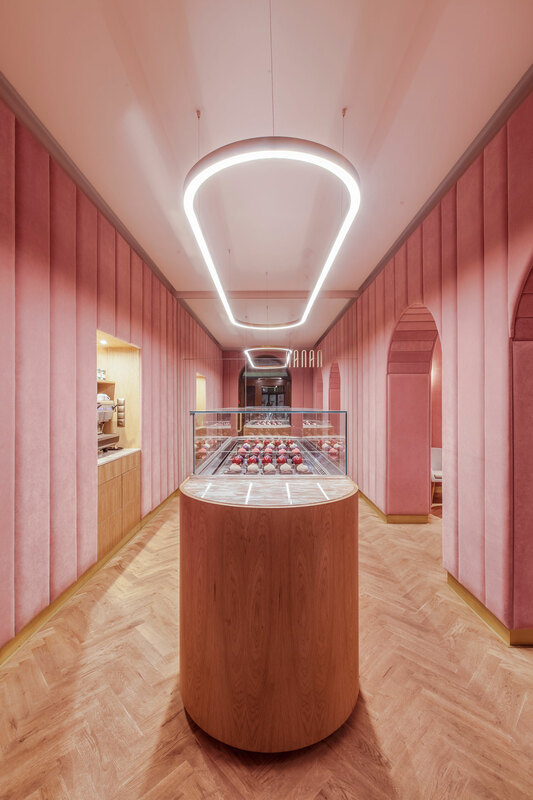 Designed by BUCKSTUDIO, NANAN Patisserie in Wroclaw, Poland takes it’s name from the French word ‘sweetmeats‘, with sweets playing the leading role in this signature design of this modern patisserie. 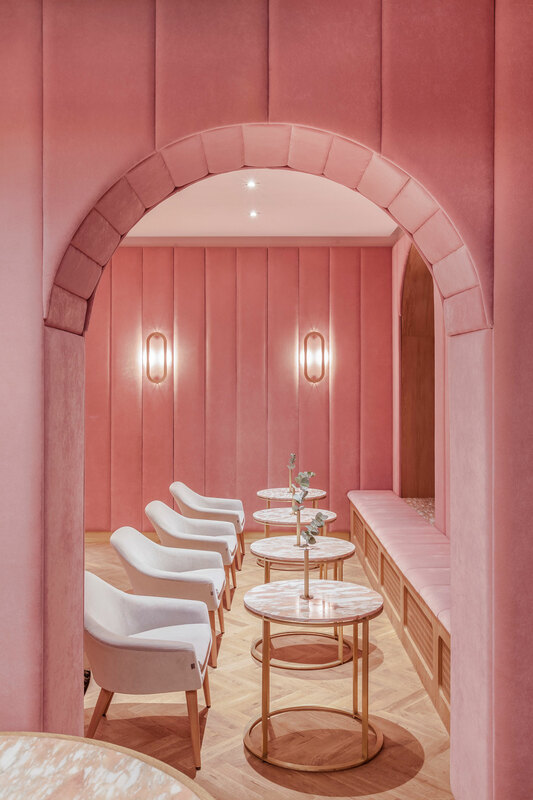 The deliberately minimalist interior provides a subtle setting for the protagonists: finely decorated sophisticated cakes made with meticulous care. 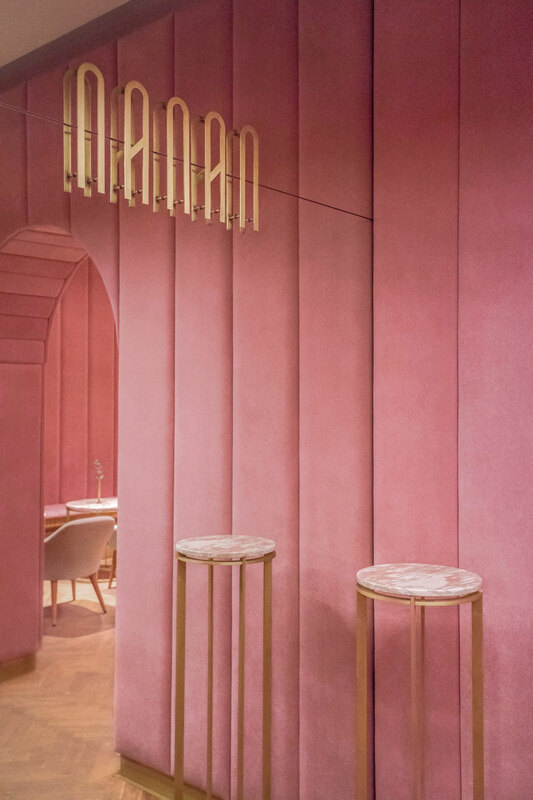 The speciality of the patisserie, the éclair, has inspired the interior design and the visual identity of Nanan. 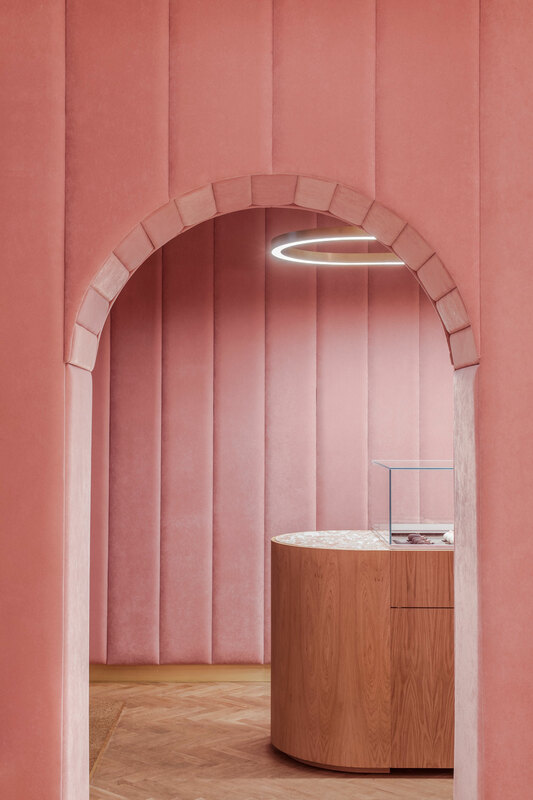 The cake’s oval shape is echoed in the central island counter with display that operates almost like a glass cabinet in a jeweller’s shop. 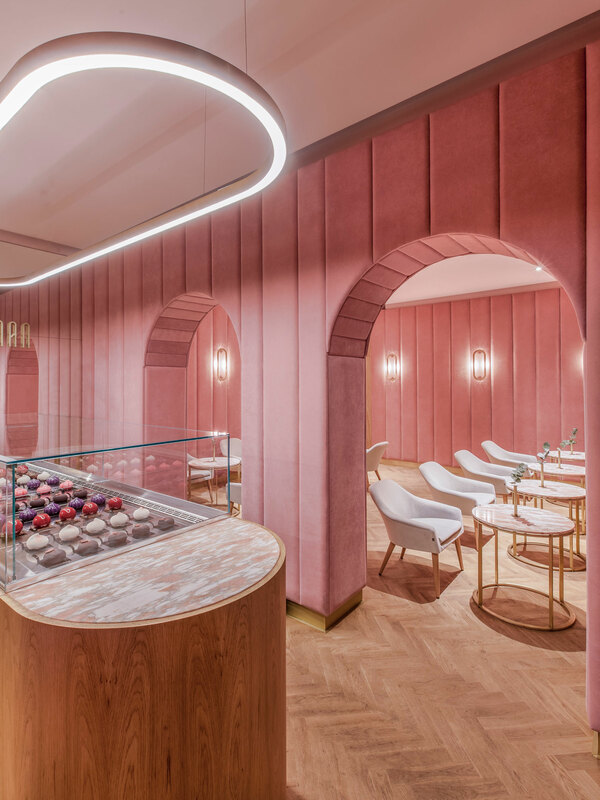 Its positioning provides room for the flow of customers who can choose and admire trays of tempting bijou sweets and small works of the art of confectionary. 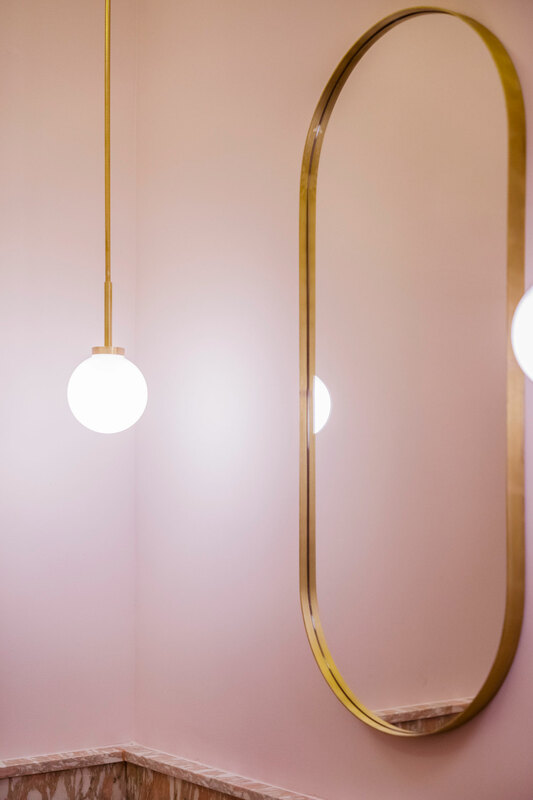 Éclairs have also inspired the bespoke design of lamps and other details of the interior such as mirrors, door handles, coat hangers and veneer perforation. 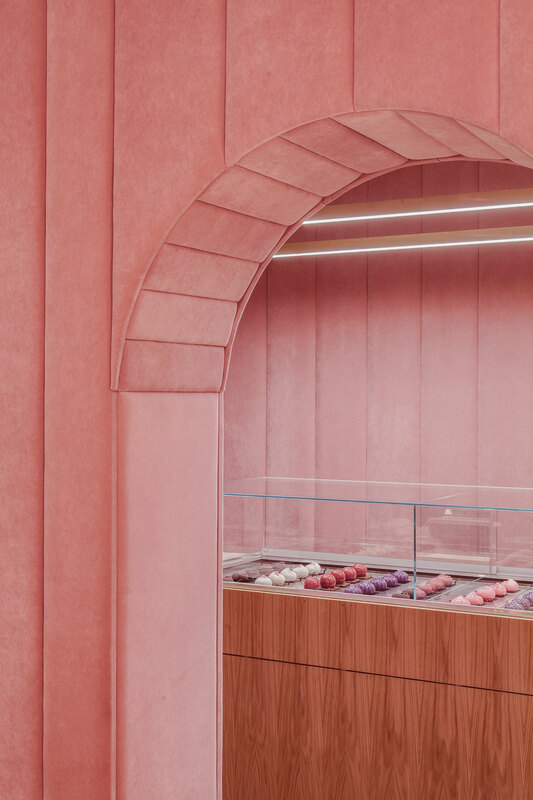 An éclair motif has naturally lent itself to the patisserie’s visual identity design. 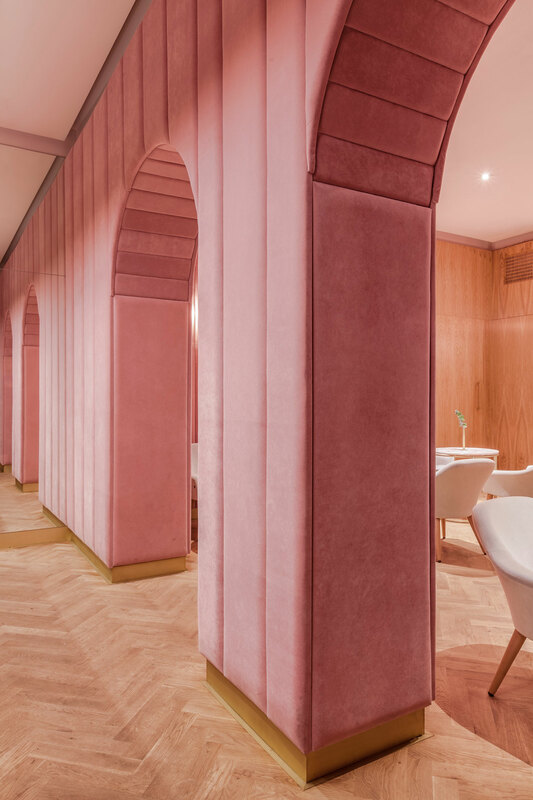 Related Post: Di Café Deli in Wroclaw, Poland by Buck Studio. 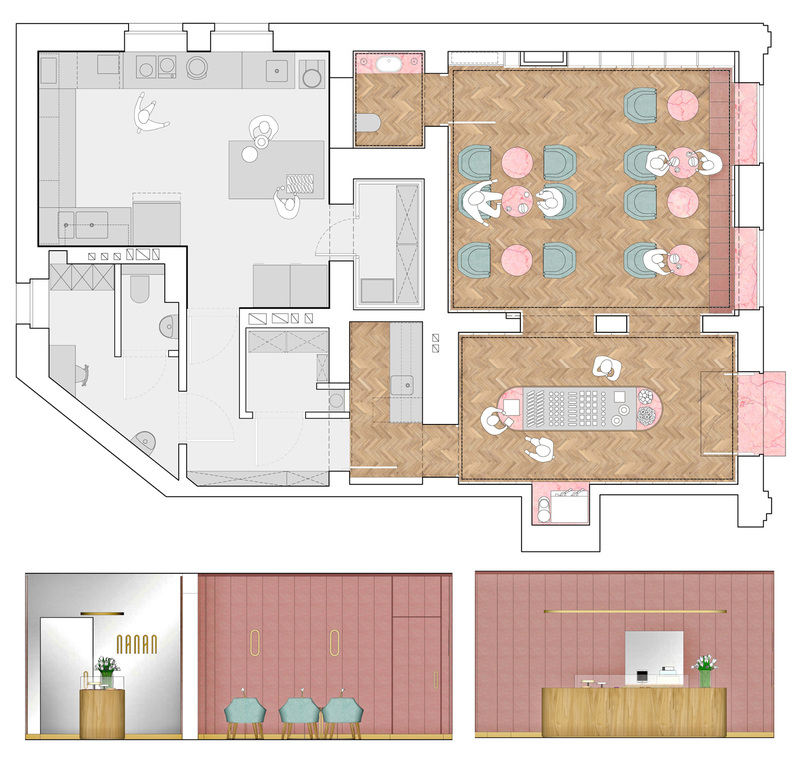 Pannecau Apartment Renovation in Bayonne, France by Concheiro de Montard.